If you were expecting to see 3 tools to use in order to stand out with social media, then you might be disappointed. This post will be covering concepts and emotional hurdles that you will need to overcome in order to attract the attention that you desire. Small business owners today understand that they need to be using the Internet to build their customer base. However, there’s so much noise out in the world and there are so many different ways to reach a customer. Marketing in 2016 can be extremely overwhelming. 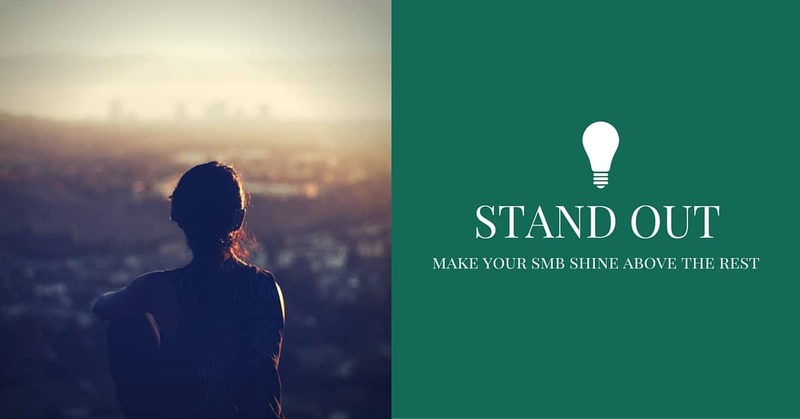 Is there room on the Internet for a small business to stand out anymore? Stay True to Yourself (your brand): One of the things that makes you unique is just being yourself. This is a lesson we all learn in grade school, but often seem to forget as we become adults. When you created your business, there was a reason behind it. There was a problem you saw that needed to be solved or a need that you noticed wasn’t being met. The why behind your brand is often more interesting than the how. The person or people behind the brand are also why so many companies are different. Don’t be afraid to stay true to yourself, your company culture, and your brand mission. Stick Your Neck Out: Marketing today is going to require you to stick your neck out a little. Whether that means creating a video series, writing a blog post, or hosting a podcast, one of the best ways to attract new business is to put yourself out there by showing off your expertise. That also happens to be the same reason why you will attract business over your competition. Assuming you have valuable content to share and a great product/service, then putting yourself out there will help grab the attention that you want! Yes, it’s scary because you’re putting yourself out into the digital world to be judged. Your friends and family will see it, in addition to your potential customers. The effort alone put into creating and sharing content will help you stand out. Try Something New: It’s exciting (and a little scary) to be marketing today. Tactics that worked a few years ago like email marketing are quickly fading in success rate, and it’s frustrating for millions of small businesses. At the end of the day, that’s the way the market works. Our attention is somewhere else, and that’s the good news! If you’re paying attention, then your business could be the one that jumps onto a new marketing tool before anyone else and reap the benefits instead of picking up the crumbs. Owning the next social network is going to require you to go out on a limb and try something new, but it could be a major turning point for your business. Marketing for small business is completely more difficult different from what it was 20 years ago. Things are moving exponentially faster, and hesitating could mean that you’re missing a huge opportunity. Can you imagine what it would have been like if you had decided to start email marketing for your business in 1998? Quit stalling, and make a move! Thank you for reading this post! I really appreciate it! If you have questions about Internet marketing for your small business, feel free to contact us today or request a free site analysis.